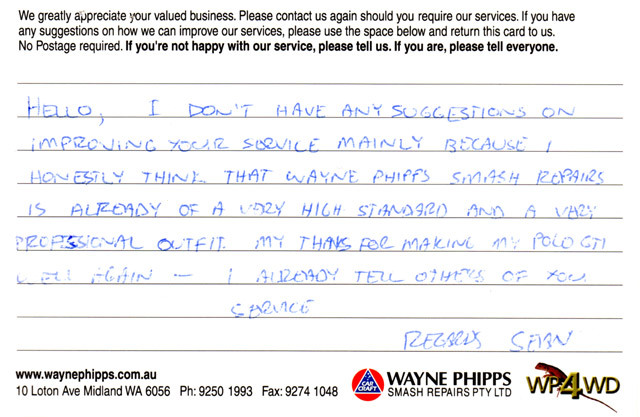 Wayne Phipps Smash Repairs insists that its customers get the best service possible. 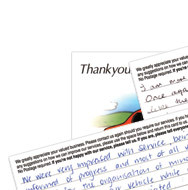 Of course we strive to exceed your expectation in every area of our business and we love to hear when we have done so, however we're just as interested in ensuring our services continue to develop and improve so that we may continue to serve ever rising expectations. 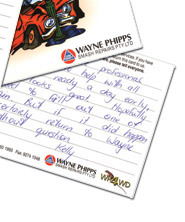 We prefer tangible feedback responses, so if you take your car to Wayne Phipps Smash Repair, you will receive a thank you card with a comment section. We've now got quite a collection. 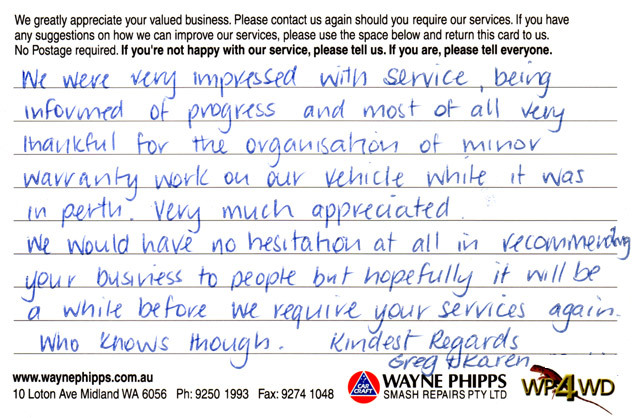 Take a look at what some of our customers have said to us. 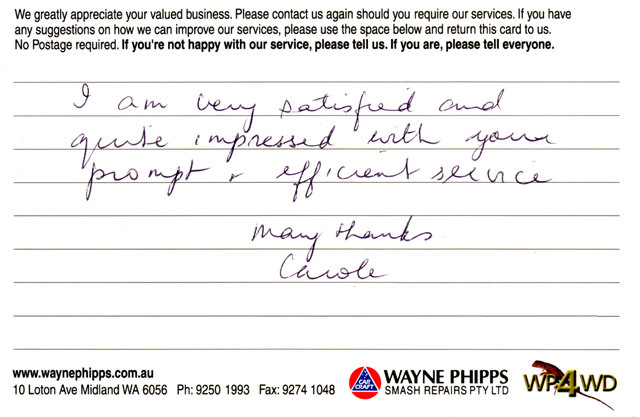 "We have been very happy with your prompt service. My car was repaired and ready four working days after I smashed it. 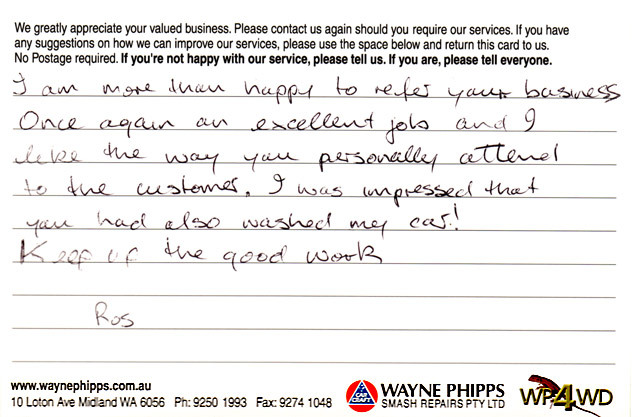 It looks as good as new and I'm delighted with your workmanship and efficeiency"
"No improvements needed! 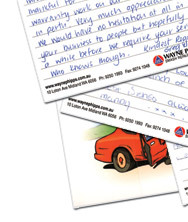 Thank you for making our 'best' car look like new... again!" "No complaints, just praise for a job well done. Excellent paint and polish job and the car has never looked so clean." 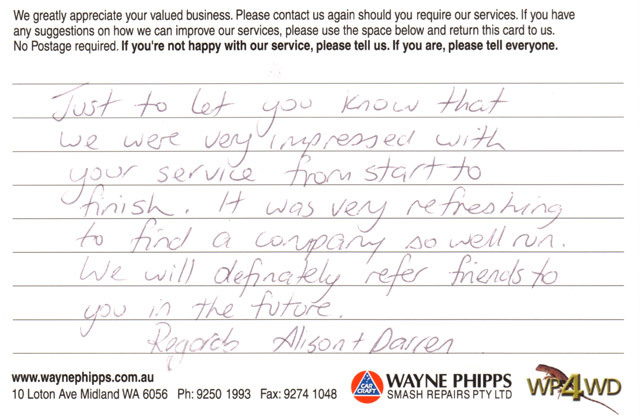 "Thankyou for the fast, effieicient and professional way our falcon future was repaired not to mention the aftercare service. 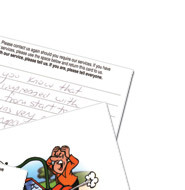 It is rare to find a company today with such integrity." 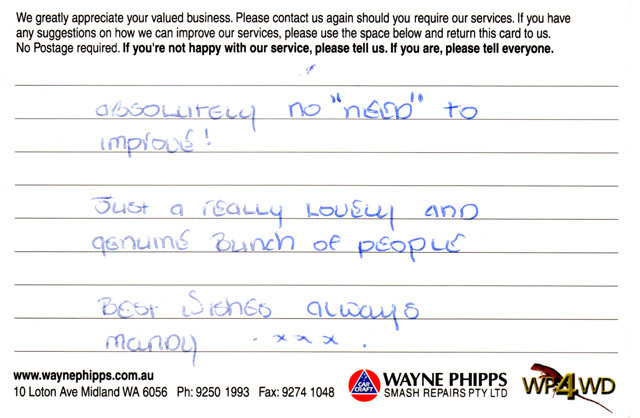 "You can't improve on a great service." 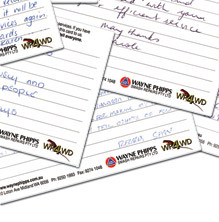 "Very professinal, very courteous and very good both in the work performed and customer relations."